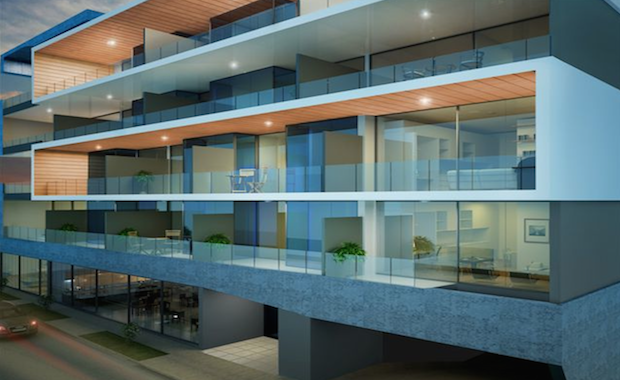 Located in Essendon Melbourne at 64-66 Keilor Road, Vivre will comprise 67, one- and two-bedroom apartments ranging from $375,000 to $550,000. The ‘flexi-apartment’ concept includes one-bedroom apartments that feature a space that can be easily transformed into a second bedroom, study or a larger living area through the positioning of a moveable wall. “Buyers today are accustomed to a flexible lifestyle. They’re social and are constantly on the move, especially in the inner-city where they have cafes and restaurants on their doorstep,” said Monson Property Group Director Simon Mehegan. Mehegan sees flexi-apartments as an affordable way for first-timers to enter the market. “It’s become common for people to buy two apartments and merge them into one for more space but this is expensive. We’re turning this concept on its head and making added space affordable," said Mr Mehegan. Vivre overlooks the city skyline and the Essendon parklands and each apartment will be open plan and light-filled, fitted with stone bench tops dressed with chrome fittings, timber floorboards, state-of-the-art stainless steel appliances and mirrored splashbacks to create a modern look and feel. said simplicity was a key design component and was used within the interiors right through to the architecture. “Our aim was to create a smart, simple and timeless space,” Chau said. Construction is expected to start in September and is due for completion in March 2016.